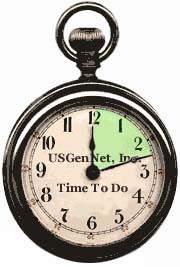 USGenNet is the first and only nonprofit historical-genealogical web hosting service on the Internet. We are a website hosting service (ISP) for qualifying historical and historical-genealogical projects. USGenNet itself is NOT a historical or historical-genealogical project. USGenNet is dedicated to providing free-access online websites for educational purposes, for public research and for the study of our national historical heritage. USGenNet is a Nonprofit Idaho Corporation (C 124878) and was incorporated July 17, 1998. We obtained US Internal Revenue Service (IRS) Tax Exempt Status 501(c)(3) on January 18, 2000. USGenNet is advertisement free and is entirely supported by tax-deductible contributions. Without the support of the general public, (visitors like you), we could not continue to provide free online access. Please Join USGenNet by making a tax-deductible donation and help keep us running! The Time Is Now And We Urgently Need Your Help! Each hour represents $1,000.00. The green represents donations received. USGenNet's financial needs have increased, even as the U.S. economy has suffered a big downturn. We hope that those who are able will continue to help support USGenNet's efforts. As the economy worsens, our donations slow down and if we are to keep these websites online we need your help! USGenNet-hosted websites continue to add data, all of which is freely available to you, but as they do the cost of hosting these websites increases. USGenNet has added additional space, and that has significantly increased our hosting expenses. We need your support now more than ever! USGenNet is sincerely grateful for every donation received, in any amount. Each dollar donated helps us to keep genealogical and historical data freely available to all. Every penny USGenNet receives is spent on operating expenses and equipment. USGenNet is staffed entirely by volunteers and pays no wages or salaries. USGenNet membership is not automatic with your donation. In addition to a donation, you must complete a Membership Application. 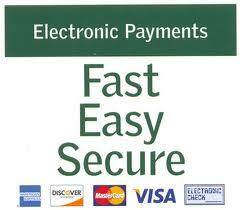 Who to contact for help with your account, to get information about our services, to report technical problems, etc. Our Search site engines let you search by state, keyword, and other ways as well.